Pravin Gordhan, scape goat or criminal? The National Prosecuting Authority (NPA) formerly laid charges of fraud against current Finance Minister Pravin Gordhan, as a result the rand took a huge knock. Can we stand anymore irregular knocks to our economy and survive? 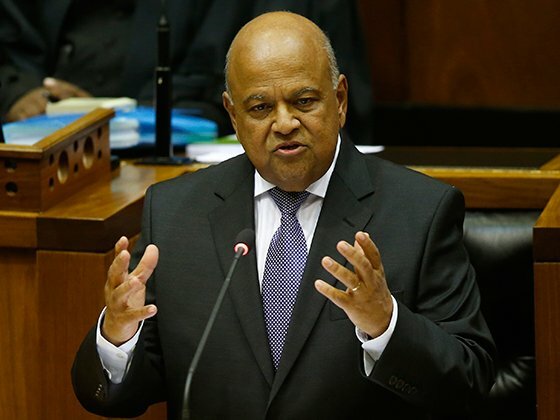 On Tuesday the news grabbed the headlines and social media was abuzz with the shocking revelations that our own Finance Minister, Pravin Gordhan has been charged with fraud by the NPA. Cast your mind back to May of 2016 when a very loud and boisterous Julius Malema correctly predicted this day. At the time we collectively thought that it would be impossible, surely our own NPA wouldn’t go after the man who is trying his utmost to save the country from junk status? The charges related to Minister Gordhan are for an irregular appointment and pension fund pay out to an employee as well as a SARS rogue unit. A few weeks ago we already knew of these looming charges as The Hawks had formerly requested Minister Gordhan to appear before them for an investigation into the allegations, which his lawyers confirmed were unlawful. Now it would appear that no matter how hard he tries he can’t get away from the President’s grip, who it appears is after Gordhan’s blood. President Jacob Zuma was under immense pressure to release David Van Rooyen from his duties as Finance Minister last year. as many felt it was an irregular appointment and he did not have the correct experience and credibility. Businesses, parliament and the public argued to reinstate Pravin Gordhan into the position in the interim. However during the ongoing “state capture” debacle Minister Pravin Gordhan has been defiant against the ANC arguing that he is and never has or will be “state captured” and does not report to an outside family (The Gupta’s) on his decisions. It would appear that the decision to go after Pravin Gordhan has come directly from the man at the top, who is not happy that he is there and he wants him out. His motivation for this is simple, Pravin is not a man who can be influenced, but David Van Rooyen might be? As a result of the chopping and changing of a critical role in our country, foreign investment agencies have not taken a liking to our instability – for obvious reasons. The rand lost 3% to the dollar in one day. A catastrophic loss to our economy. As we teeter one step away from junk status what does it actually mean for the man on the street? We spoke to highly credible Jannie Rossouw, Head of Economics & Management Sciences at Wits University about our falling economy and what it means to you and me. Take a listen.